The main attitude at Attitude seems to be "friendly". There's a pleasant vibe to the place; it feels young, relaxed and communal--in fact, it feels a lot like a beer hall with its long narrow tables. There is plenty of space at the bar, the staff are welcoming and (bonus points) the beer tanks are named after famous philosophers. All of that is enhanced by distinctive and fun graphical elements, which seem to me to be a kind of mash-up of Japanese and Mexican pop art styles. The pink-caped luchador who points the way inside is an excellent mascot. Cross-cultural elements continue in the name of the location and in the names of each beer, all of which are presented simultaneously in English and Spanish. There are some very nice art works hanging around the place. I especially liked the large pieces hanging behind the bar. When I visited in mid-November, I thought I had waited long enough after opening for their kitchen to be operating, but alas I was wrong. I do suspect that once the kitchen is open, the food will be tasty. I notice that they have menus posted online, but someone writing on Yelp at the end of November pointed out that, despite this, the kitchen is still not operating. The latest info I have is that the kitchen should be open before Christmas. Even without food, the place is already popular. I saw a large crowd early on a Saturday afternoon. They already have some regulars. I enjoyed chatting with the staff and the other customers. I had an opportunity to sample five of their beers. They offer more than a dozen beers with good variety, including several IPAs (both WCIPAs and NEIPAs), some lagers, a hefeweizen, a saison, and some darker beers. The ones I tried were decent to good, with nothing outstanding. That is par for the course for a new brewery, and no doubt their beers will improve over time. Overall, the vibe, service, and potential for good food will bring me back here, and I'll look forward to seeing how the beers develop over time. 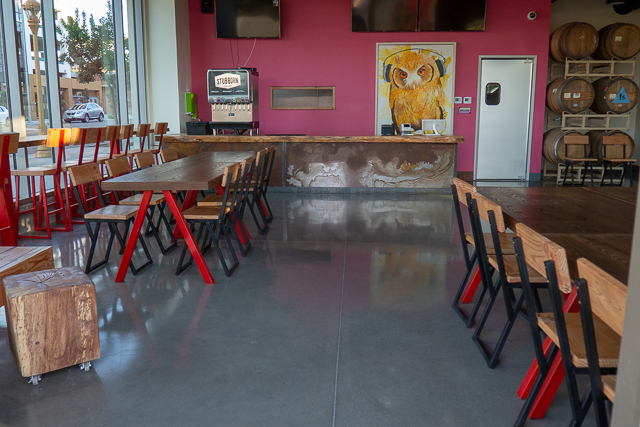 There are now four breweries and a tasting room in a tight grouping in Barrio Logan, making it an excellent destination for a beer tour. (Thorn Brewery, Alta Brewing, Iron First Brewing, Border X Brewing and Attitude Brewing.) It is easy to get to the area on the trolley so that you don't have to drive, though free parking is plentiful in the area. And now for something a little different. A company called Nod Products got in touch with me recently. They sell a variety of fun, mostly drinks-related items. From what I've seen, the quality is good and the prices seem reasonable. 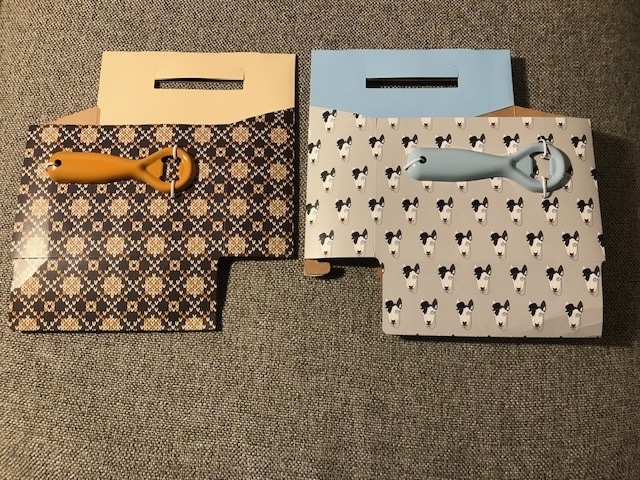 They asked me to review their "Craft Beer Carriers", which are basically six-pack holders printed in fun designs with a color-coordinated metal bottle opener included. Each has a little windowed-envelope into which you can put a personalized message. The idea is to fill the carriers with craft beer and give them as gifts. I could see them being especially useful if you have a lot of 12oz homebrew bottles and you want to give some away on a special occasion. 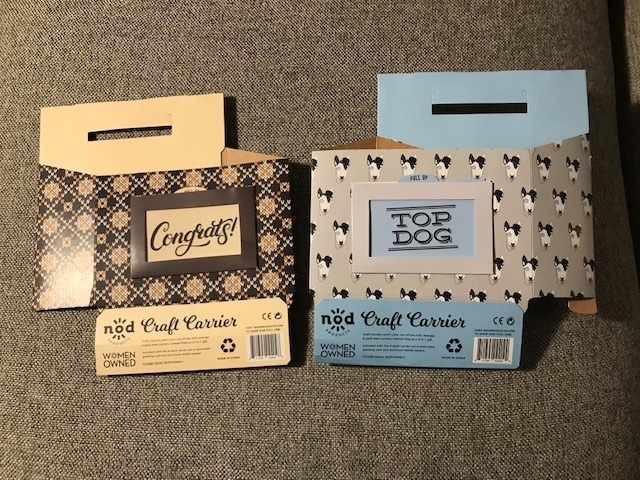 They might be good as groomsman gifts--though I'm guessing most groomsmen will care more about the beer you put in the carrier than the fancy carrier itself. You can see the full Nod catalog here.